Installing security systems at home need certain deliberations and decisions made on what security parts and components are required and what is the basic cost of an alarm system. You need to see what is the installation procedure for the home security system and here are a few things that you should look while considering home security. There are quite a few options to look at while looking at home security. For example, there is a difference between burglar alarms (basic intrusion sensing at doors and windows with an alarm), home alarms for fire and smoke detection. There are also sophisticated home security systems which are connected to police stations, come equipped with CCTV cameras and have automated locks and lighting. The cost of buying a basic burglar detection system has dropped to as little as $20. Extensive alarm systems which include security cameras and other alarms which are linked to law enforcement agencies are contract based security systems which have 3 year contracts and have a monthly fees of around $20. These also have installation fees of around $100. There are also carbon monoxide sensors and water sensors which cost around $250. 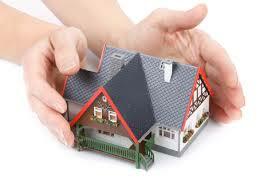 Most security systems require an installation done by their technicians. This is of course, not extended to systems you buy online at say Amazon. Those are self-installation based systems but they’re relatively easy and have simple instructions. Large security systems need to be installed by professionals. Cameras and sensors need to be mounted and wired. However, many companies offer customers with the option of installing the systems themselves, allowing them to save money. These systems are larger systems with more features and they are given on contract basis by service providers. There is a monthly fee involved but those who choose these systems get much better security and safety. Earlier, home security systems were connected to alarms in police stations and fire stations by phone lines. These, at least in older houses, could be cut easily by burglars. Home security systems are connected using broadband wires or even through cellular network towers. This makes it more difficult to get past the home security. What happens in case of break in depends on what alarm you’ve got. If you’ve got a basic burglar alarm, the alarm can go off when a motion detector at an entry point detects an intrusion. A more sophisticated alarm system, the kinds for which contracts are required, notify law enforcement agencies and the security providers offices. They then send out officers who check the premises for any sign of a break in. The first step is to inform the homeowner, and if the home owner does not respond or is under duress, the local authorities are sent to the home. The Best Security System out there? There are a host of different options to choose from. There are very extravagant home security systems with more features than you need. In any case, a great home security system should have the following features. Check for the best customer service. The best companies should be able to respond to maintenance calls frequently in order to replace faulty or malfunctioning equipment. A malfunctioning home security is useless and good customer service can ensure that you remain safe without any breaks. A vital feature to have should smash detection features. If the home alarm is smashed before the ‘disarm’ function is applied, the system should send a signal to the security company and notify them about the smashing of the home system. Look for systems which this feature. Jesse Abraham is a home security expert who has been a consultant to a host of top security firms. Jesse specializes in putting together fool-proof security systems for homes. Ask Jesse for advice on how to make you home safer. He is always available for those who need expert tips on having better home safety.